ANYTONE AT-D878UV Walkie DMR radioaficio 144/430 Mhz with APRS digital and analog Roaming compatible with MOTOTRBO Tier 1 and 2. 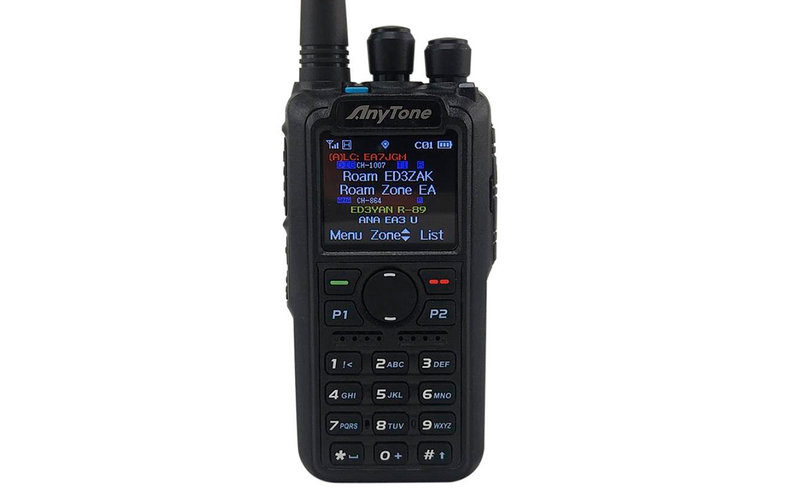 ANYTONE ATD-868-UV Walkie DMR radio ham radio bibanda VHF / UHF. 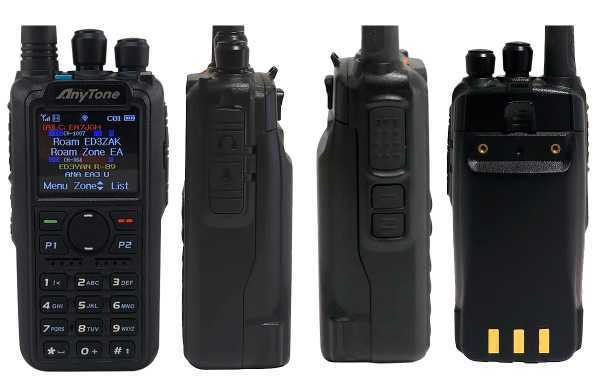 DMR portable transceiver for radio amateurs 144/430 MHz. Frequencies: 144 ~ 146 MHz. / 430 ~ 440 MHz. TFT color screen 1.77 "
DMR ID display, name, population, country.